Similar to the Generic Visitor Books our personalised visitor books come complete with your logo printed throughout. Each page allows you to record up to 20 visitors and you can have a system up and running within minutes. A loose-leaf record keeping book displayed in a professional black padded binder. Size: W335mm x H 230mm. Standard entry fields including date, name, company, visiting, vehicle registration, badge number, and time in and time out. With this personalised visitor book; included is 10 contractor passes and 10 visitor passes which will be printed with your logo; this is ideal for companies that wish to promote their business and will help create a professional image. 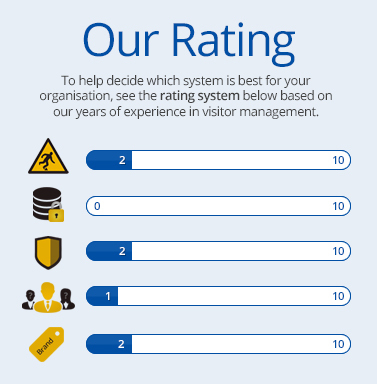 As well as their logo we will also include any Health and Safety information on the back of the cards; making this product ideal for increasing the safety of your visitors while also identifying them on site. If that was not enough we will also include 10 Red Visitor lanyards with this bundle, which will complete your customers experience. 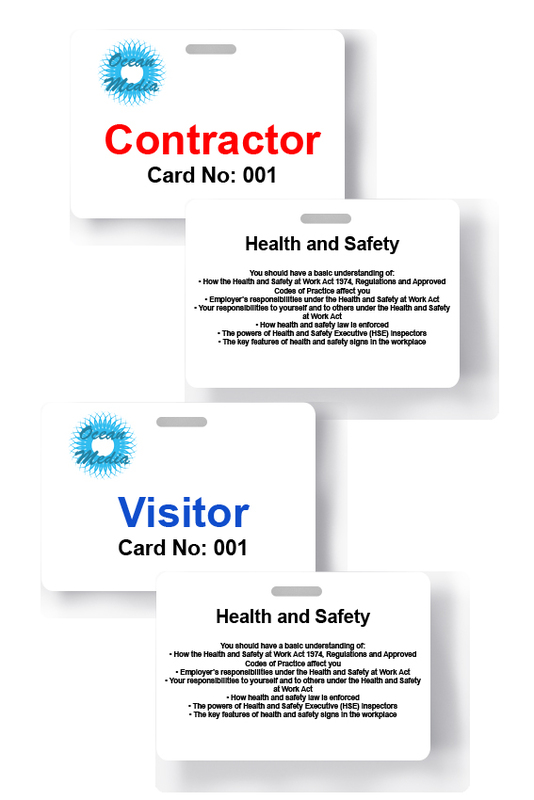 Personalised Passes - include health & safety points specific to your company/site and incorporate DDA Legislation.